Creating a lens on Squidoo is one of the easiest way to promote your affiliate program and web site. What is squidoo? Squidoo is a community website that allows the user to create own pages of their interest. These pages are called lenses. The great advantage of Squidoo is that you don’t want to know HTML or some thing else to create a web page, you can create a web page with simple user friendly modules. And more importantly you can get an effective do follow link back to your site. In this blog we are going to discuss about, how to create a simple cost free lens on squidoo and ways to promote it. After signed in, just click on create lens on user dashboard. Now you can get your page after just completing 4 steps. For example consider I am creating a page for my iPhone app. Step 1: What’s your lens about. Just enter what your lens about. Here I could write iphoneapps. Step 2: What’s your goal for your page? 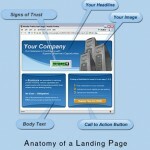 Here you can decide for what you are creating this page (ie) you may create a page for online marketing, promotion etc. Here I just like to create a simple page for my app. So I am choosing the first option which is also the easiest option too. Step 3: Create a Title and URL for your page. Step 4: Set your best keywords for the page. After you have completed these four steps, you will enter your page where you can work with workshop tools to make your page alive. Now develop your page with effective user friendly modules. 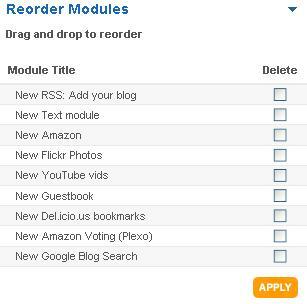 These are the default modules present in the workshop tools.You can browse, add and rearrange modules of your need. Each module has its own and unique features. •	It allows HTML and special characters. •	Provides do follow link. •	It allows search engine to index your link and content. 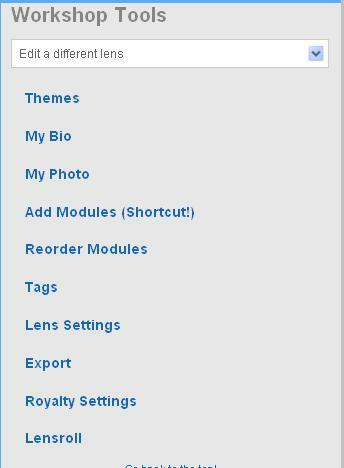 Pictures & Videos – Photo Gallery, Flickr Gallery, Video module, Youtube Vids, Youtube Voting etc. There are some Squidoo lens directories available where you can submit your lenses, so that you can get a back links for your lens. This will helpful in creating a good Link Wheel process. You can bookmark your lens on top bookmarking sites. You can use these lenses in resource box of the article. 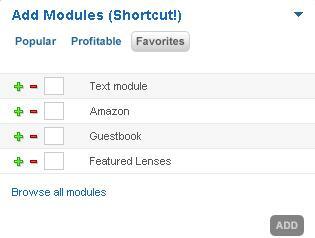 Even ezine article directory will accept Squidoo lenses in the resource box. Apart from back link, you can drive a huge amount of traffic, so that you can get a better lead and goal. It gives Lens Rank for your page, get a high Lens rank by creating a lens with good and unique content. Better rank provides better credibility in Squidoo. And I mainly like to mention about Lens Health here. Because everyone creating the lenses to sell products, earn commission and to create a back links but most lenses are not well optimized which will lead to a poor lens health so that your lens doesn’t rank high in Squidoo search results .There are many online tools available to check the health of your lens. Finally I like to say that Squidoo is a excellent site to create a passive link building, just create a good content and build a back link with your keywords and ranks higher in search engines. I agree with you. Squidoo is one of the greatest backlink provider because it is open to everybody. I think I made simple lens to squidoo but never been opened it since last year. Your style i? un?que compared to other people I’ve read stuff from. Thank you for posting when you’?e got the op?ortun?ty, Guess ?’ll just bookmark this blog. Its very well written; I love what you’ve got to say. But maybe you could a little more in the way of content so people could connect with it better. You’ve got an awful lot of text for only having 1 or two images. Wonderful site. A lot of useful info here. I am sending it to several friends ans also sharing in delicious. 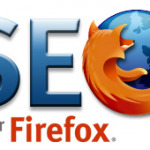 1 Pings/Trackbacks for "Make Your Backlink worth by Creating a Simple lens on Squidoo"